Did you know that you can sign up to attend a one-day intensive workshop the day before news:rewired? 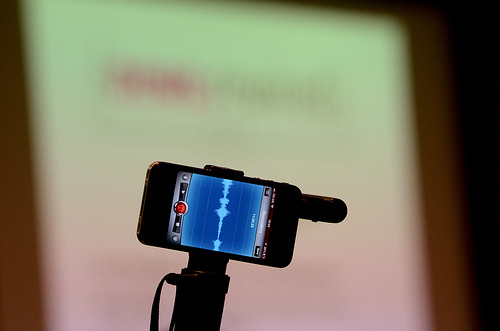 The next news:rewired digital journalism conference is on 20 September. We also offer a ‘news:rewired plus‘ option so that you can attend one of three one-day training workshops the day before the conference, on Thursday 19 September. If you are coming from overseas and want to make the most of your time in the UK, or if you just want to learn a new skill, signing up for a one-day course will allow you to really get to grips with one of the subjects on offer. There are three news:rewired plus one-day workshops to choose from. If you are a regular at news:rewired you will recognise some or all of the trainers. They have all been involved with the event in the past, for example both Luke and Glen delivered workshops at our last event in April. We have invited them to lead one-day courses based both on their expertise in the field and the positive feedback from news:rewired delegates. The three options are below. Click the links for full details. Introduction to open data for journalists: finding stories in data. This course is led by Kathryn Corrick from the Open Data Institute. news:rewired plus tickets cost £310 (+VAT), while conference-only tickets are £130 +VAT. Tickets include lunch, refreshments and after-event drinks on the day of the Friday conference. You can buy tickets at this link. If you select a news:rewired PLUS ticket Journalism.co.uk will contact you to confirm which training course you would like to attend on the Thursday (19 September) and provide further details.